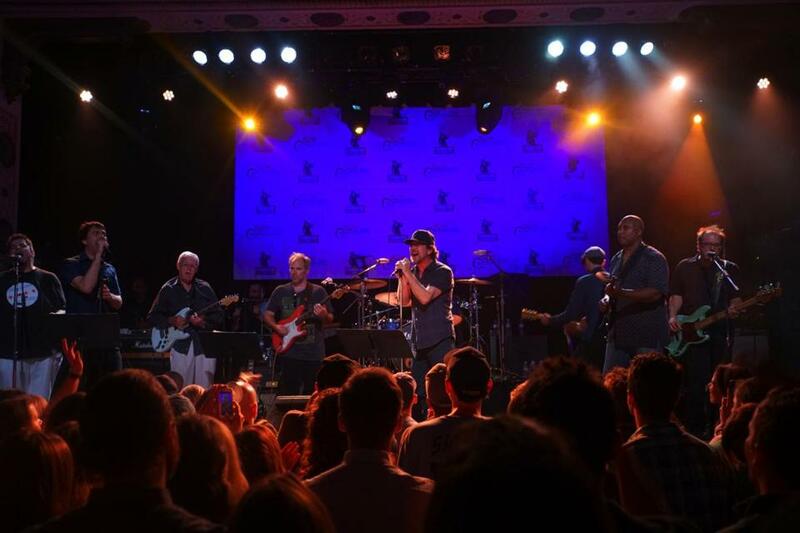 Eddie Vedder (center) and others perform during the charity concert Friday night. The Windy City installment of the biannual Hot Stove Cool Music charity concert took place at Metro Chicago over the weekend, bringing Boston and Chicago musicians and baseball players together to help support the Foundation To Be Named Later. Former Red Sox GM and current Chicago Cubs president of baseball operations Theo Epstein and his twin brother Paul Epstein, a Brookline social worker, founded FTBNL in 2005 to raise funds and awareness for nonprofits serving disadvantaged youth and families in Boston and Chicago neighborhoods. Eddie Vedder made a surprise appearance at the concert Friday night, joining Theo Epstein onstage to perform a set of solo and Pearl Jam favorites as well as covers like Neil Young’s “Rockin’ in the Free World.” It was the Pearl Jam frontman’s second consecutive year at the event. The weekend lineup also featured Liz Phair, Smashing Pumpkins drummer Jimmy Chamberlin, jazz guitarist and former Yankee Bernie Williams, JC Brooks & the Uptown Sound, and Avid Dancer. Ensemble performances that rounded out the bill included Boston musicians Ed Valauskas, Chris Cote, Jen Trynin, and Kay Hanley of Letters to Cleo (now based in LA), among many others. Hot Stove Cool Music, which raised more than $400,000 for FTBNL, was emceed by actor Joel Murray, who played Freddy Rumsen on “Mad Men,” and radio personality Lin Brehmer of Chicago’s WXRT. It will be back in Boston (presumably at the Paradise Rock Club) next winter. 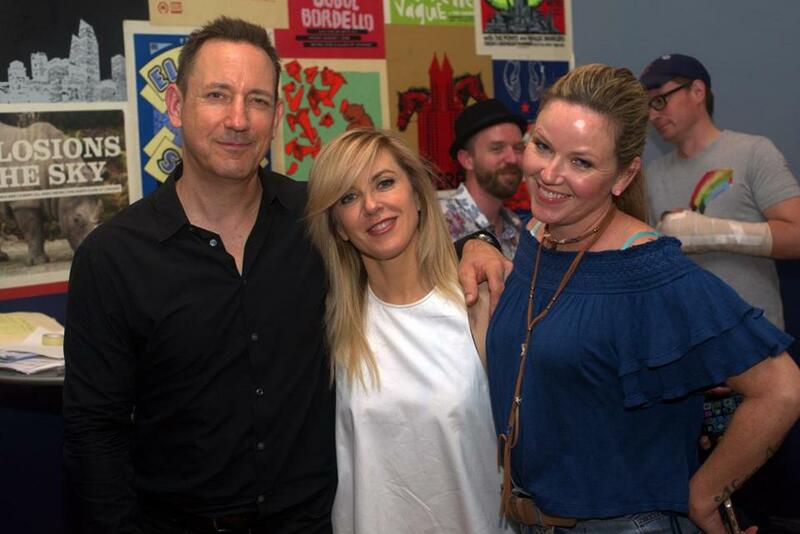 From left: Jimmy Chamberlin, Liz Phair, and Kay Hanley at Hot Stove Cool Music in Chicago. Names can be reached at names@globe.com.